There are many causes when it comes to depression, but one that always stands out as the most recurrent one is being overweight. Therefore, when it comes to medication one must always be careful when prescribing drugs, as certain antidepressants can trigger weight gain which will only add to the depression causing an opposite of the desired effect. However, there are certain antidepressant medications which can have a beneficial effect on weight, that is: cause the perhaps desirable weight loss. In order to combat weight gain, one must first understand what the main mechanisms behind it are. Usually, weight gain and depression are very much interconnected as the dopamine levels in your brain influence your state of mind, and depression is what comes to be as dopamine is scarce. When you eat food rich in calories you trigger dopamine release in your brain which thus alleviates your depression in the short-term, but also impact your weight in a very negative way which leads to even worse depression in the long term. That being said, when choosing an antidepressant it is good to be on the lookout for those medicines which will bring about a positive effect on weight. There are drugs which cause one to gain weight, those which trigger weight loss, and those in the middle. It has been found that the best choice for weight losing medication is the drug Wellbutrin. Wellbutrin is an antidepressant which is perfect for those who do not want to finish their half a year long treatment with additional five or so kilograms added to their scale. While SSRIs (selective serotonin reuptake inhibitors) are linked with gaining weight and represent the majority of antidepressants, Wellbutrin is a different sort of drug which acts an NDRI (norepinephrine-dopamine reuptake inhibitor). As the name suggests it works by affecting the dopamine levels in the brain which is the stuff responsible for controlling appetite and consequently the weight. This is all because this particular drug has more than just one positive effect on the body. Not only does it regulate the feeling of hunger through manipulating the dopamine levels, it also fastens one’s metabolism which is the crucial thing when losing weight. It also energizes and therefore gives people the chance to work out and lose even more weight. As one might deduce from the before mentioned information if weight loss is the desired effect of antidepressant medication, one should steer clear from those drugs which affect the serotonin and strive for using the ones which affect the dopamine in the body as that is the path which has the most effect. Of course, Wellbutrin is not something that is a person’s only option if he or she wants to avoid gaining weight. There are several other drugs which do not have an adverse effect on one’s weight. On these medications one person is equally predisposed to losing, gaining or maintaining the same weight. This class of drugs is the one which regulates the level of serotonin and norepinephrine in the body and is called SNRI (serotonin-norepinephrine reuptake inhibitor). The reason they are not as effective as Wellbutrin is because they do not affect the dopamine which is the primary regulator of the feeling of appetite. There is one more antidepressant which falls into this middle category and it is called Viibryd. This fairly new drug is responsible for reported weight loss in some people due to a side-effect one might find a little repulsive – diarrhea. Although not something entirely desirable to experience, diarrhea is naturally a great way of relieving yourself of extra weight. It must be noted, though, that despite being regarded by medical circles to be neutral when it comes to weight changes, one must bear in mind that all these drugs affect everyone differently as is the case with every sort of drug or thing in the world. Therefore, there is no guarantee that you will lose weight when using these drugs. When it comes to medications which should be avoided in case weight gain is something not wanted, the class of drugs called SSRIs (selective serotonin reuptake inhibitors) are the prime suspects in undesirable weight gain cases. There are SSRI drugs which are considered to be not as bad as the others, but the fact remains that all of them cause some weight gain. This is because these drugs prevent the release of serotonin (“the happiness chemical”) which will prompt some people to seek consolation in food. 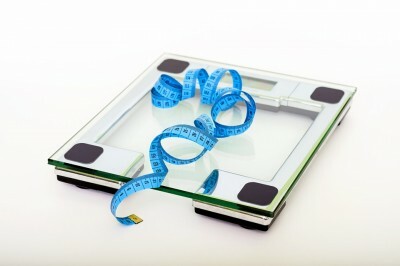 Additionally, it slows metabolism, so no matter how healthy the diet is, you will gain weight. So, to summarize: in order to avoid gaining weight, it is imperative to avoid those medications which affect serotonin, and seek those which regulate dopamine. Thus, Wellbutrin is the drug which is the safest bet for weight loss. Of course, as we mentioned before, everyone is affected differently, therefore, you are invited to share your experiences in the comment section bellow in order to help others with your experience. Previous articleWhat Are Brain Zaps?